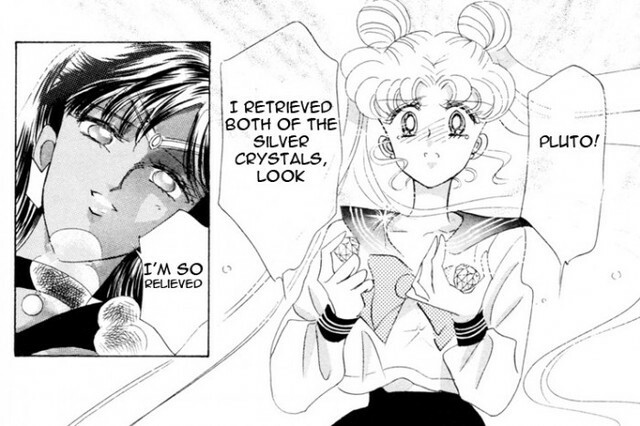 I always figured off screen, Usagi handed one to Venus just to be safe. 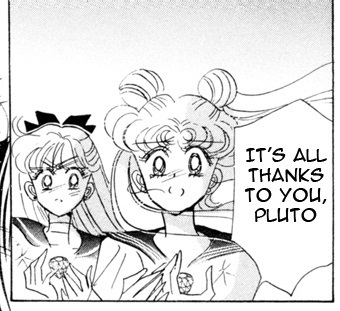 Knowing Usagi she would have accidentally knocked them together haha. Venus grabbed one from her for safety sake off-screen. 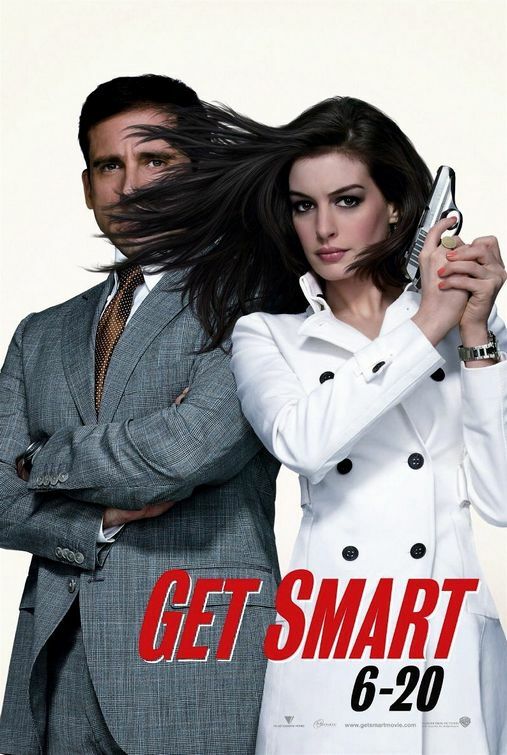 Or she swiped it in order to reclaim her position as the rightful main character of the series? 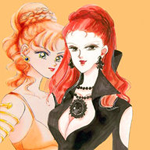 The world is in peril, Chibiusa is pretty much dead, but these three still took the time to put on some couture. I can appreciate commitment to serving looks as much as the next guy, but there is a time and a place. Get some awareness. You're in a hospital, visiting a child's death bed; you're not at Paris Fashion Week! 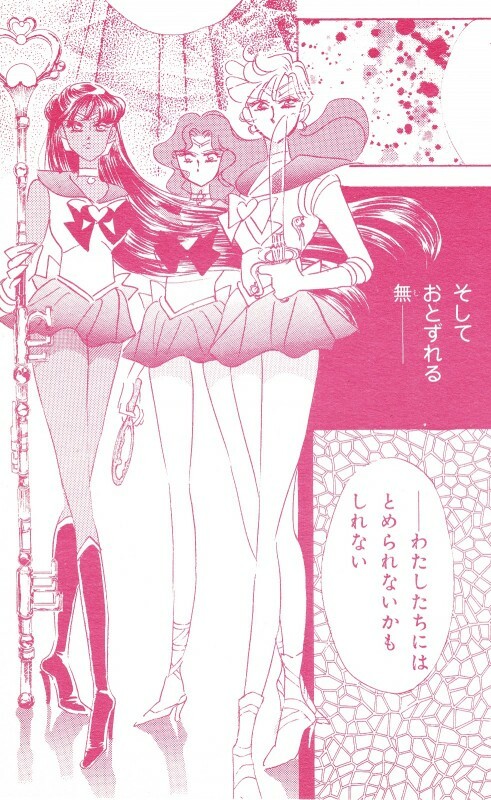 The world is in peril, Chibiusa is pretty much dead, but these three still took the time to put on some couture. Maybe they just came from a gala and didn't have time to change. You don't know their lives! Only Pluto's gown is over the top. Neptune and Uranus' outfits are less formal. I wonder which fashion designer Naoko ripped-off this time. Setsuna: Hey guys, hate to just rush off, but we've got a fancy gala dinner to get to. Haruka: Gotta keep our patrons happy! 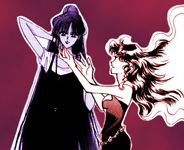 Michiru: Does this lipstick go with my new shoes? Haha! You've officially ruined this scene for me. Nah, actually the manga is sponsored by the fashion brands, hence their various product placements all over it - it's the same thing as those sponsored outfits worn by the Senshi actresses in PGSM.